Progamer team Elohell have been knocked out in the first round of the EU Regional Finals at Gamescom this weekend. The team took part with a substitute after player Hosan received a one-tournament suspension from League of Legends developer Riot for improper conduct before the competition. This time last week, Riot decided to suspend progamer Hosan from the EU Regional Finals after they found that his LoL account had received a permanent ban from their Tribunal system. 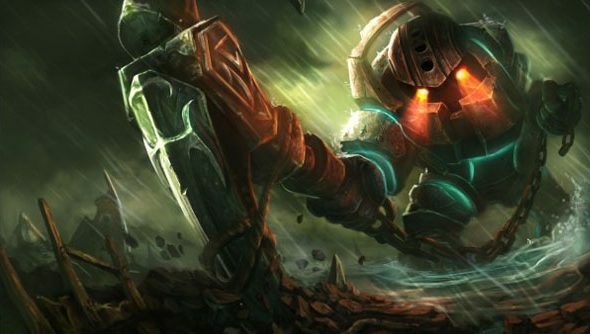 The Tribunal is a measure put in place by Riot to let the community manage itself. If a player thinks another player is behaving badly, cheating, using inappropriate language, and so on, they can file a report. Along with the report they must also attach evidence. This could be chat logs, videos, screen grabs, anything that supports their claims. The players on the Tribunal assess the reports and, if action is to be taken, they determine what the punishment will be. So, in the case of Hosan, the evidence presented to the Tribunal warranted a permanent ban of his main account. We don’t know what it was so far, but if it were something like cheating then that would likely have got out by now. This forcedElohell to compete without Hosan, bringing onVanderas a substitute. We now know how that turned out. So there may be some unkind words being said around the Elohell shower rooms tonight (they have shower rooms right?). I mean, they just lost their shot at $150,000.